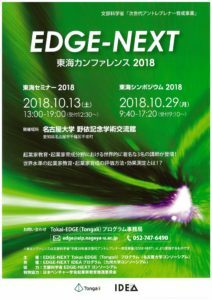 October 13 (sat) 2018, held EDGE-NEXT Tokai Coference in Nagoya. 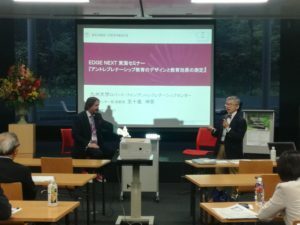 Dr.Norris F.Krueger, who is well-known in entrepreneurship education, spoke about evaluation method of entrepreneurship education. 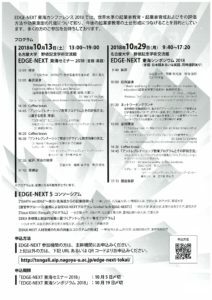 EDGE-NEXT Programs are offering entrepreneurship education programs with various universities including diversity. 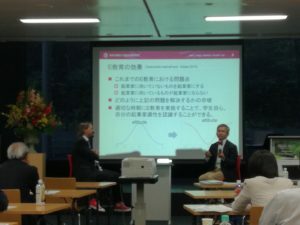 These programs are getting hight evaluation as entrepreneurship education. 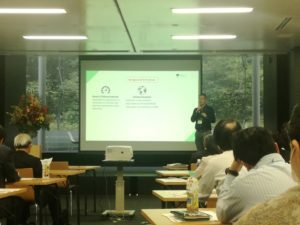 Also, Dr.Matsunaga spoke about the ‘Entrepreneurial Intention and Some Antecedent Factors A Multi-Institute, Multi-Course Examination of Factor Structure’.